Marketing is one of the most important factors that will determine the success of any business. Carefully planned marketing strategies will ensure brand sustainability in the long run. We need to be very certain that our marketing efforts, not only will help us bring in the sales, it can also create an environment where consumers will feel good about owning our brands. One of the challenges, many Startups are facing, is the limited marketing budget. However, it also does not mean that Startups without a strong marketing budget is not able to compete with the big and established competitors. 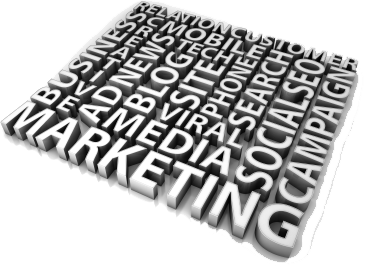 The age of the internet and social media, has changed our marketing landscape completely. It is no longer a winning game for the big brands anymore, but it is more for the faster and the smarter brands today. Here are the 4 successful marketing tips that Startups can use to ‘beat’ the big boys. The internet opens up lots of opportunities for Startups; they can market their products and services without spending too much of their marketing budget. One of the fastest ways to see real marketing results is through search engine marketing (SEM); this is where you target the right consumer market on popular search engines such as Google and Yahoo. Focus on creating quality ads around quality keywords such that your potential consumers may type on the search engines and if the competition is too strong, you can always put your focus on the long tailed keywords which are less expensive and more targeted. Entering into a price bidding war in SEM is never a wise move, especially when the competitors are huge players with strong financial muscles. Focus on building good quality content instead, this is where your business will flourish especially in the long run. Quality content will also give your website better quality score and higher ad ranking for SEM, such that you do not need to bid very high in order to rank high on the search engines. Add valuable content on the internet by sharing your expert opinions, how-to tutorials, industry trends and kinds of other knowledge based information about your products and services in general. The more you share, the more the public will perceive your brand as the expert in the industry. On top of that, the media people, such as the magazine and newspapers editors or writers will come to you for an interview about your opinions and expertise. Hence therefore, by sharing your expertise online, Startups can also gain potential media exposure that can help them to build their brand credibility and reputation, in the shortest amount of time. The power of social media should never be underestimated. One person is able to influence tens, hundreds, or even thousands of people on social media. Especially for the Startups, it does not really matter whether you have a strong marketing budget or not; big companies can spend hundreds of thousands marketing dollars on social media but they also may not be able to see better results. So for Startup like you and me, we should take a slow and steady pace in building a strong core of followers on social media. This strong core of followers will be your brand mavericks; these are the people who not only, will like everything about your brand, they are also willing to share the good things about it with their family and friends. Your brand mavericks are the best influencers of all. To create more brand mavericks, we should make our brands more likeable on social media. Moreover, learn to share your knowledge and many positive things about your brand on social media, such that more people will trust, like, and have confidence in you. Tap on the strength of other established brands in the market, through mutual collaboration. Always be on a constant look out for any opportunities that can help you to raise your brand profile. You can offer to speak and share your expertise on major events organised or sponsored by other established brands. It does matter if it is a different industry. For example, a retail Startup can share its expertise on good customer service to people in the hospitality industry. In a way or another, you are leveraging your brand by putting yourself on par with other established brands in the market; while these established brands are also leveraging on your expertise as well. So, it is a win-win for all; and definitely, such collaboration, will boost your brand credibility in quick speed. The late international bestselling author, Stephen Covey has mentioned in his famous book, “The Seven Habits of Highly Effective People,” that we always need to begin with the end goal in mind. What do we want to achieve from setting up our business? Wealth? A better lifestyle? Early retirement? How fast do we want to see these achievements manifesting right in front of our eyes? 10 years, 5 years or even less than a year? By having a strong and clear purpose in mind, it will push us to think further, of more highly effective marketing strategies that can help our brands to achieve what we want to achieve in a definite period of time. Being a Startup is the best moment in your life. This is the stage whereby you are very hungry for success, very high in morale, and you will give your all to see the results, no matter what. Do not lose this passion, even if you are already in business for many years. This is because, this passion will keep you going, make you grow, and also, help you to achieve the many wonderful things in life. All the best to you, my friend. Article contributed by Startup Jobs Asia‘s Guest Blogger, Jacky Tan. View Jacky Tan’s Biography or Follow him on Twitter.